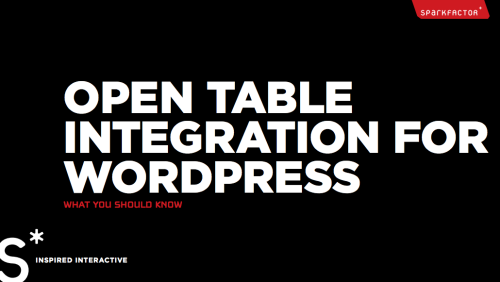 Open Table Integration for WordPress is the first in a series of free downloadable guides walking you through the cool tools and features of WordPress, Social Media, and more. Click the button below to unlock the power of information. Sign up here for notifications and access to all our white papers.